© 1993 by Cherry Lane Magazines, Inc.
BOTTOM LINE: The best yet from fab metal futurists. The three French Canadians of Voivod are into all kinds of Outer Limits sci-fi concepts: time travel, space aliens, fractals, cyberpunk. On The Outer Limits, the band’s eighth album, Voivod finally captures their imaginative abstractions in both lyrics and music, making a superb album of progressive guitar riffing. Voivod bring elements of punk, the prog-rock of Rush and Queensryche and the new thrash melodicism of Megadeth to play on The Outer Limits. Combining the gorgeous, blistering guitar parts of Denis D’Amour with Denis Belanger’s futuristic lyrics and Michel Langevin’s philosophies and neck-braking drumming, Voivod create fiercely propellant songs that can be hugely hooky (“Fix My Heart,” “Wrong Way Street”), wildly chaotic (“The Nile Song”), or mechanically riveting (“The Lost Machine”). The trio even pulls off the 17-minute “Jack Luminous” by blowing together enough aggressive, burning riff sections to keep things interesting. The Outer Limits is a great guitar record, but has few true leads in its tracks — D’Amour welds together layers of highly developed parts that draw you in again and again. 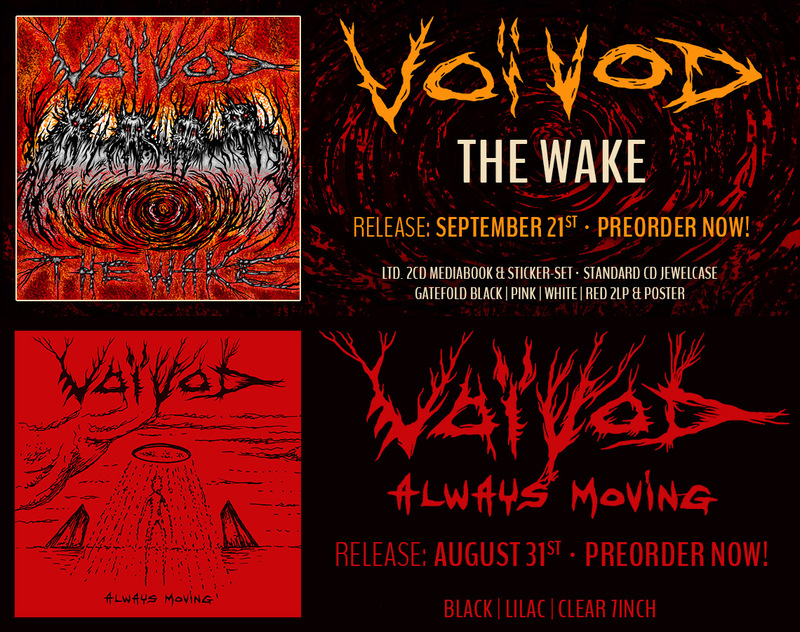 It’s Voivod’s best since 1989’s Nothingface, and the top progressive metal album of the year so far. Voivod is the sort of prog-rock cyber-schtick revivalist band that believes in the old maxim (Boston’s Third Stage aside): The bigger the spaceship on the cover, the better. (Voivod.net editorial note: What spaceship?? there is no spaceship in the cover!!) If the Quebec’s metal’s band latest, The Outer Limits (MCA) isn’t released with a Roger Dean cover, I’ll be darned. It isn’t, but the ghost of 70’s proggies Peter Hamill, Hawkwind and Syd Barrett have a lot to do with the music, particularly a sprawling, 17 minute space-rock epic “Jack Luminous.” Of course we get a song or two about UFOs, computer viruses, and a cover of Pink Floyd’s “The Nile Song” replete with the band’s trademark spaciness and a trace of the power-skronk that made early Voivod circa Dimension Hatross (1988) such sprawling techno-structured gunk. While the feel here is more Astounding Stories than William Gibson, VV sill spews megabytes as it climbs the starway that leads from Slayer to Roky Erickson and Carlos Castaneda.